All the lessons, tests, and experiences of the past have made you who you are today. Your perspective affects your outcome. Choose to see that life is on purpose. You won’t learn from your adversities if you see them only as bad luck, negative, or fate. Tests may be your vehicles for growth so face them, learn from them, and grow. Don’t hate the messenger, instead focus on the message. What can you learn about your current adversity? 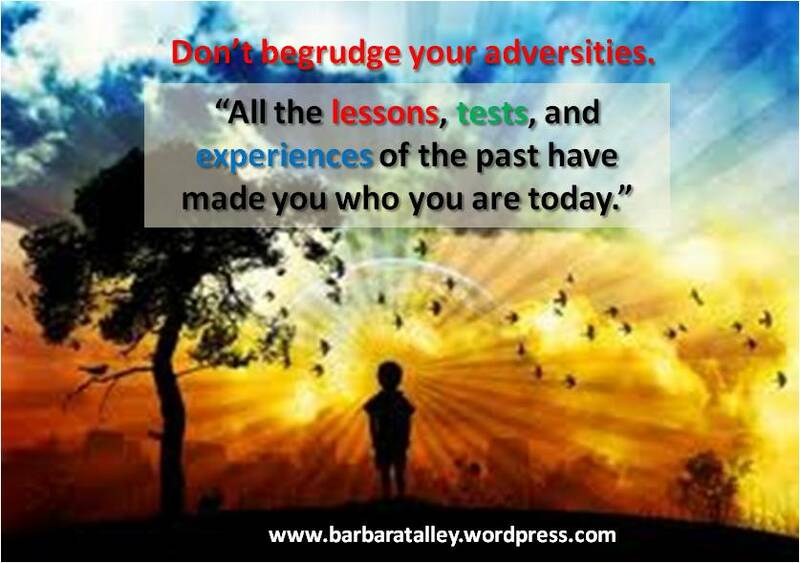 Your tests today will strengthen you for tomorrow, so don’t begrudge your adversities. ← Change ONLY Occurs in The Current Moment! Timely; soooo consistent with a conversation I had and a presentation I am working on. Thank you. Stream of consciousness flows through us all.